When it comes to royalty in music, there aren’t many bigger names than The Jackson family. Despite all of his success as part of the Jackson 5, there has always seemingly been a lot of mystery around the group’s most quiet member, Tito Jackson. Things are starting to change now though as Tito is seriously embarking on a solo career. He’s already off to a great start with the first single “Get it Baby” featuring legendary rapper Big Daddy Kane which has recently begun to move up the charts. He’s also begun performing on his own as well, and recently took part in our Sol Village show here in NYC. That night we got a chance to sit down with him for an interview and discussed choosing now as a time to emerge as a solo artist, Jackson 5 memories, wanting to prove people wrong, and much more. 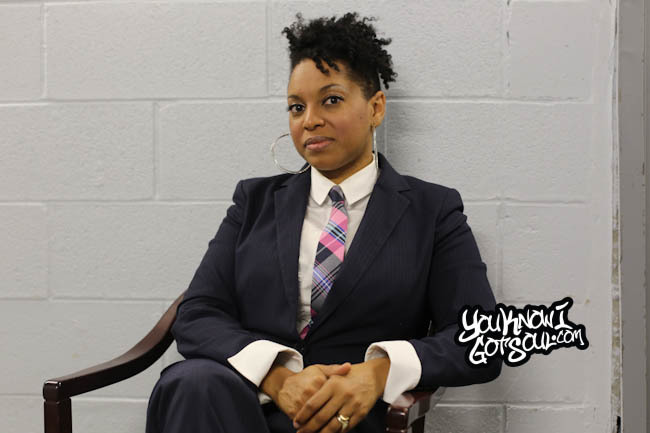 YouKnowIGotSoul: Talk about your successful single “Get it Baby” and how you created it. Tito Jackson: Well I didn’t create it, it was produced by Earl Powell and Michael Jackson, not my brother, and Jeff Roberson. They played this track for me. I said “You know what, let me live with it for a while”. They looked at each other like I didn’t like it. I just wanted to see how it felt after playing it maybe 12 or 13 times, because that’s when you can really feel a record. I lived with it a few days and it was still buzzing in my ear. I found myself walking away from the music and still remembering it in my head. It was a catchy song. I decided to record the song and everything else is history. YouKnowIGotSoul: When you hear the song it’s really grown and has that throwback sound that definitely resonates with people. How did you think it would make people feel when they heard it for the first time? 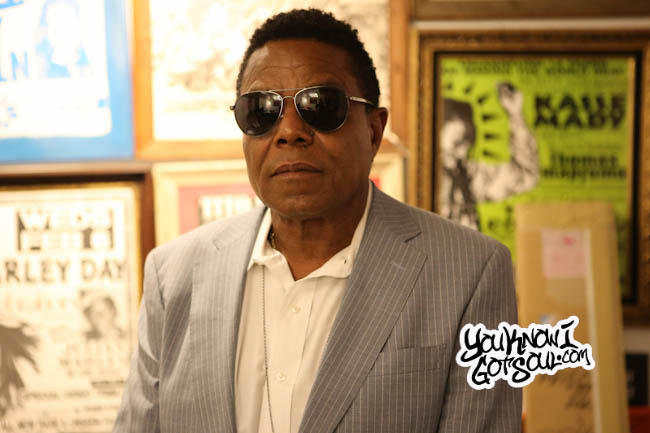 Tito Jackson: I think first of all, they would be surprised that I finally put out a record. I think most people when they hear the record for the first time, they want to dance and move around. It’s one of those records that make you want to move something. That’s what I’ve been learning from watching people listen to the record for the first time. YouKnowIGotSoul: How did you get the hip hop legend Big Daddy Kane on the record? Tito Jackson: My producer knew his management and they sent the song over to the management company. Of course the management company gave it to him and my producer got a call back from him asking about the song. Big Daddy Kane called me up and said “Is that you singing on that song? I like that, I’m going to hook it up”. In a matter of a day, he had the track back to me and the rest is history. He really hooked it up. The guy is still a great, great artist. YouKnowIGotSoul: We saw this article on Billboard that you were the 9th in the Jackson family to have a song on the charts. What did that honor mean to you? Tito Jackson: All of my brothers and sisters and even my own children had charted and had records out. I never had anything out and people just wondered why I didn’t. It was a trivia question if I’d ever put out a record. Charles Barkley made little jokes and all of that. I had to put a stop to this, so I decided to get serious and record. It was time, I’m not raising children anymore and they’re grown and gone and I’ve got all of the time to promote and market whatever I want to do with the album. It’s my time, I just feel very much into it and ready to do it. YouKnowIGotSoul: Touch on the misconception a little bit that people have of you. People consider you the quietest Jackson but you’re so full of music and have so much to offer as an artist. Tito Jackson: I never used to talk. I used to be quiet I guess. I don’t know if it’s the right or wrong thing to do. I had a lot of other siblings that talked a lot so I just decided to be one of the people that didn’t talk too much. It caused people to say things that wasn’t true. People make up their own conclusions when you don’t speak up for yourself. It’s partially my fault for being quiet. 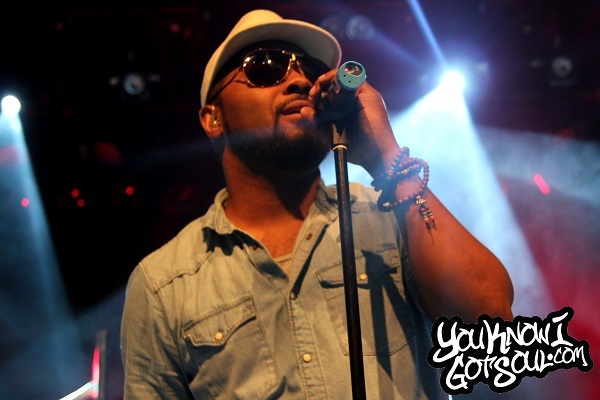 YouKnowIGotSoul: What can fans expect on the upcoming album “Tito Time”. Tito Jackson: They can expect the type of record that they can come home from a hard day of work, take off their shoes and relax and put on their pajamas and just get a glass of wine and cool down for the day and enjoy the music. YouKnowIGotSoul: Did you handle a lot of the writing and production? Any collaborations? Tito Jackson: I worked with a lot of artists. I worked with Betty Wright. I worked with Joclyn Brown. I also worked with my sons 3T who also wrote and produced four tracks on here. We’re planning on going on tour together and singing those songs and doing them live in concert. YouKnowIGotSoul: As you’re branching out once again as a solo artist, how does that dynamic feel for you having had so many successful years with the group? Tito Jackson: It started 10 years back. My brothers weren’t doing anything. We had decided to take a break following a long career and the Victory tour. Me being a musician, I was going crazy at home, not being able to go out and play my instrument. I was too shy in all of this. I got together with some friends in the neighborhood. None of them were professionals. My fishing buddies, my car buddies. They played instruments. We just started jamming in a friends bar. It was the kind of bar that the guys who picked all of the vegetables in California go to drink beer and hang out. They don’t even speak English, so I knew it was safe! They don’t even know what I’m saying. They like the mariachi music. They’re shooting pool and I’m rehearsing three and four times a week. Just working on my craft, towards being a solo artist. It took me some time to look over to my left and not feel nervous because Michael and Jermaine and Jackie and Marlon and not there anymore. You gotta carry this whole thing, all eyes are on you. I started doing blues because I love blues. I felt comfortable doing it. I put together a little half an hour to hour show which was a lot of blues a lot of Jackson 5 music. I would travel all around the city doing this music. Then it became a national thing and then a world thing. I was making traction but I had no solo music. I decided to really get serious about the recording and doing this. YouKnowIGotSoul: Who taught you how to play the guitar growing up? Tito Jackson: I was self-taught actually. I’ve had people that showed me things, but basically I started out playing by sneaking my father’s guitar out of the closet. He told us don’t touch it but I did and I broke the string and he punished me for it and then put it in my lap and told me to show him what I knew. I played a few things for him and he was surprised. He gave it to me. He bought himself a new guitar and told me he wanted me to learn every song on the radio. I did that and my brothers Jackie and Jermaine and myself were the original Jackson Brothers. We thought we were The Isley Brothers. We were singing Isley tunes, and The Temptations and all of that. Michael and Marlon were just little bitty boys. They were three and five or whatever. We’d kick them out of the room! We were five or six years older and we didn’t want our little brothers bothering us! You know how it is with the little kids. We heard Michael sing at the elementary school he went to. I think he was in kindergarten. He sung a song called “Climb Every Mountain” I believe and he tore it up. We couldn’t believe that it was our brother singing that. We didn’t even know he could sing like that! We rushed him home and put him immediately in the group. We added Marlon too. *Laughs* Marlon and Michael joined the group together and that’s when we started really getting down and doing our thing. We started playing weddings and birthday parties and little club dates. Some little old lady came up to us and said “What’s the name of your guys band?” So I said “We really don’t have a name, we call ourselves The Jackson Brothers since we’re all brothers.” She said, “Well there is five of you guys, why don’t you just call yourselves The Jackson 5!” We looked at each other and it had a little ring to it. We started calling ourselves The Jackson 5 and it stuck. YouKnowIGotSoul: What was the moment like when you first heard your song on the radio? Tito Jackson: The most exciting thing in the world! I had recorded a song called “I’m a Big Boy Now” in the mid 60’s. We heard it on the radio, but we knew it was only being played locally, in Gary, Indiana. We wanted the type of music that would broadcast worldwide. So then to hear Motown behind your music, you know you were going to be everywhere. Here’s the story before that. I didn’t want to go to Motown because we were here playing The Apollo Theater and we had gotten a call from I think it was David Frost. He wanted us on his show. But we had already had an audition at Motown, which I didn’t want to go, because I felt if were to go on the David Frost Show, all of the companies would see us; in case Berry Gordy didn’t like us. To make a long story short, we auditioned at Motown, he didn’t want children because he had Little Stevie Wonder. It’s not that he didn’t want children, he didn’t want to deal with the rules and state laws where a child couldn’t work more than three or four hours. Then he saw us work and he was so excited, and Diana Ross’ birthday was the next day and he asked us to perform at the party. So here we are at this party and every star on that roster was there, from The Temptations to Marvin Gaye to Smokey Robinson to Stevie Wonder to The Four Tops. Our song list was all of their songs. So here we are singing their songs to them, and we were nervous as heck singing their songs, could you imagine that? They know every bit of the song. They loved it and they accepted us and we were more like Motown’s little children. All of the artists just took care of us like they’re little brothers or little kids. They looked after us. They were very sweet and nice to us. They helped groom us. YouKnowIGotSoul: You’ve been successful for so long in music, legendary career. As you emerge as a solo artist, what are your goals and what do you hope to achieve? 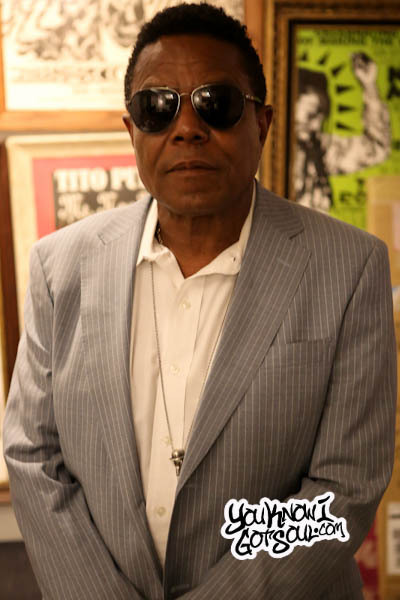 Tito Jackson: Because of some of the comments that have been said and people didn’t know my position as a musician in the group, I just think it’s time for me to make some type of statement. Whether it’s big or small or however, I just want to say I did it. Whether it wins or loses or whatever, I did give it a try. You won’t know unless you try, you gotta be in it to win it. Tito Jackson: I’d just like to say thank you to all of the beautiful fans out there that supported me and my entire family all of these years. I just want to say thank you so much for your support. Without you it wouldn’t be no us whatsoever. Thank you for loving us, and we love you always. Tito Jackson I like To here from you please call me I give you my phone number 386-515-5004 can I have your phone number from your Cellphone I need you for A Boyfriend I love you baby.